With a massive standard 2D and 3D sign library, Sign Design Pro enhances AutoCAD’s ease of use to design custom signs that are industry compliant to Chapter 7 and T.S.R.G.D. Sign Design Pro is powerful, flexible and easy to learn and creating signs can be achieved in minutes. For large BIM corridor schemes 3D sign designs can be added to a project giving an extra level of detail for Civil 3D® projects. Overview Turn signs into 3D with Sign Design Pro Converting any sign face into 3D is a simple as pressing one button. An additional 3D sign library containing all standard 3D sign faces is available for quick and easy insert into any presentation/corridor drawing. Converting any sign face into 3D is a simple as pressing one button. An additional 3D sign library containing all standard 3D sign faces is available for quick and easy insert into any presentation/corridor drawing. Overview 3D Road Sign Design 2D Road signs can be turned into Full 3D models using a simple one button press technology. 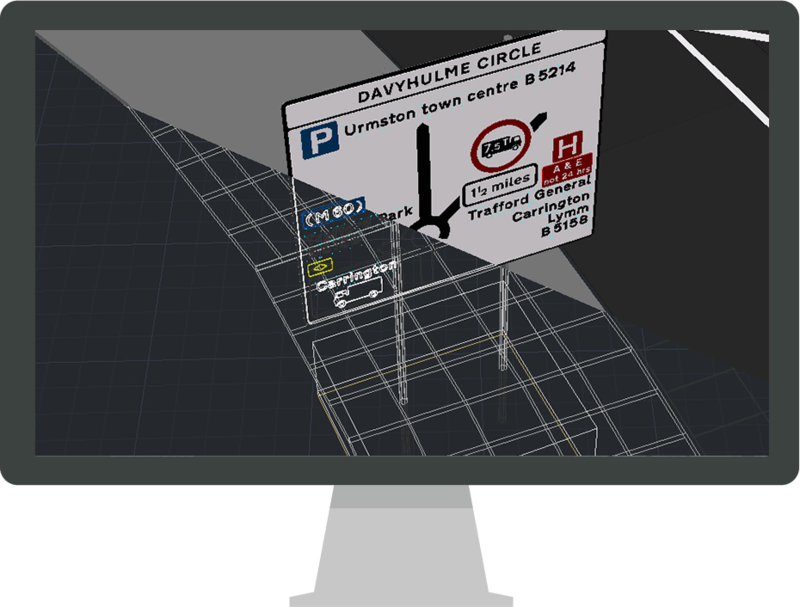 The 3D road signs can then be used in Drive through visualisations, 3D Studio Max, Infraworks and are exportable for clash checking in Navisworks, because no object enablers are needed your road and traffic signs can be shared by anyone for BIM collaboration. All 3D signs are turned into a 3D block that can be viewed by any .dwg compatible software. 2D Road signs can be turned into Full 3D models using a simple one button press technology. 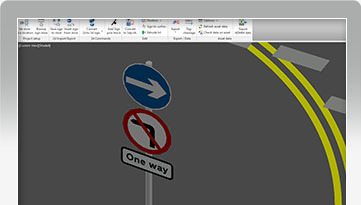 The 3D road signs can then be used in Drive through visualisations, 3D Studio Max, Infraworks and are exportable for clash checking in Navisworks, because no object enablers are needed your road and traffic signs can be shared by anyone for BIM collaboration. All 3D signs are turned into a 3D block that can be viewed by any .dwg compatible software. https://www.transoftsolutions.com/wp-content/uploads/2017/09/04.-Custom-Layers.jpg Overview Custom Layers Each layer can be customised individually and edited to suit project requirements. The saved layers can then be distributed around design teams and imported/exported to other software users to maintain consistent company CAD standards. Each layer can be customised individually and edited to suit project requirements. 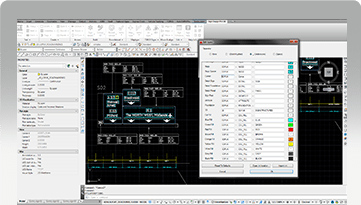 The saved layers can then be distributed around design teams and imported/exported to other software users to maintain consistent company CAD standards.